Take a naughty and playful Jack Russell Terrier named Patch, place a shiny, Golden key around his neck and send him a surprise package all the way from England, on his first birthday – and we have all the perfect ingredients for an exciting adventure in the bustling, historic and charming city of London. Join Patch to find out who he meets and the places he visits in this thrilling adventure! ‘Patch Goes to London’ is an endearing picture book, perfect for reading aloud, or for little children to read to themselves. The story is engaging, the illustrations are adorable and the most interesting fact about this book is that Patch’s adventures are inspired from a true story! 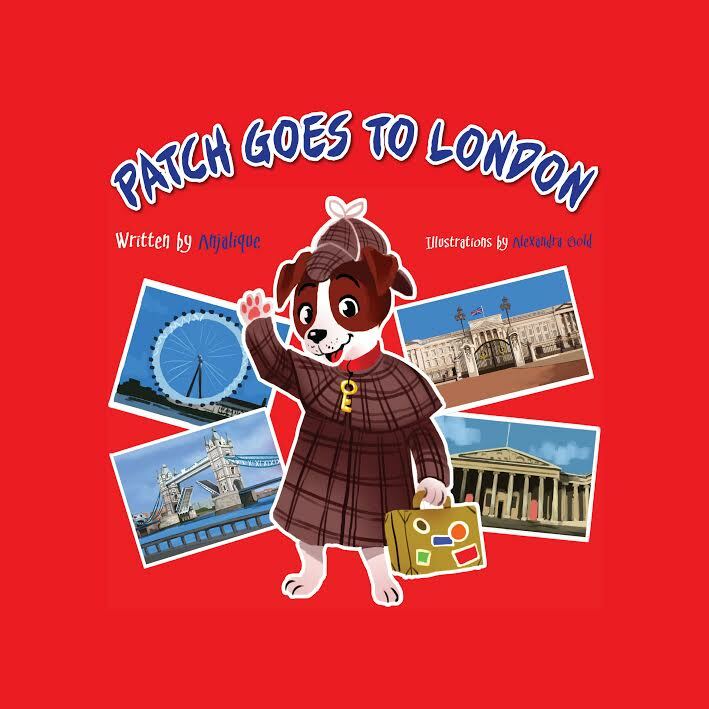 ‘Patch Goes to London’ gives children the opportunity to experience the city of London through the eyes of an adventurous, loving and naughty Jack Russell Terrier! Anjalique G is a debut children’s book author. For many years, she worked in the Hospitality industry where she mastered the importance of two words – ‘thank you’ and ‘sorry’ but, she gave up the glitz and glamour of hotels to take her writing career forward. It all started with the successful launch of her online magazine wherein she interviewed and featured celebrities and well established personalities from the Indian television and film industry. Each and every feature in Anjalique’s magazine received tremendous appreciation from her readers and the industry. This encouraged her to start writing ‘Patch Goes to London’, a story that she has carried in her heart for many many years. Patch the Jack Russell Terrier, was born in the UK and since then he has lived in London, Dubai and India…with Anjalique. So there you have it. She has a Jack Russell Terrier called Patch, he has a passport, he has travelled and he loves adventure! 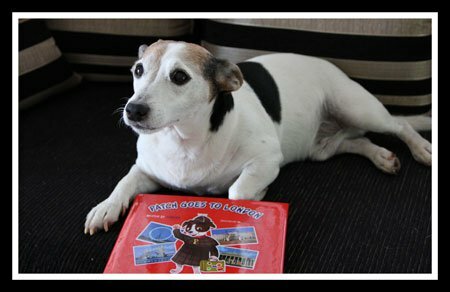 We joke about it – a little Jack Russell Terrier flying off to different countries but the fact remains that Patch’s adventures emerge from this true story. ‘Patch Goes to London’ is the first adventure in a series of books that Anjalique has planned. The book has been graciously received by the Prince of Wales and the Duchess of Cornwall and the Duke and Duchess of Cambridge. Their kind words of appreciation and encouragement have been the perfect way to start off Patch’s adventures into the world!